HALIFAX -- Nova Scotia's Progressive Conservatives will ask a court to force the Liberal government to publicize details of its contract with the operator of a highly subsidized ferry, the Opposition leader said Sunday as he called for more transparency in government. Tim Houston's announcement comes after the Liberals rejected a finding from the province's privacy commissioner in January, calling on the government to release the information laid out in a 10-year deal between the private operator of the Yarmouth-to-Maine ferry and the province in 2016. "We should not have to take the government to court to find out how our taxpayer money is being spent," Houston said as he announced his caucus planned to file a notice of appeal on Monday morning. In response, Lands and Forestry Minister Iain Rankin said the impending lawsuit, revealed at the tail-end of the Progressive Conservative Party's annual general meeting, was a "political exercise." He said the province abides by the rules set out in its Freedom of Information and Protection of Privacy Act, which he said has a "dual purpose" -- to ensure the government discloses important information while ensuring the protection of privacy. "We believe that we've (struck) a balance in terms of how we provide information. 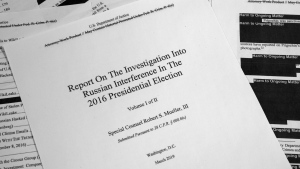 When the FOIPOP asks come in we look through it and ensure that we're protecting the privacy, and ensuring that we're getting the best value for taxpayer money," he said. "In this case, there's a private company involved, and they have certain competitive advantages that we believe that we need to uphold for them, and ensure that we're doing the best that we can to provide the information to people when they ask for it." Rankin said he would not go into detail about the lawsuit, but said that Premier Stephen McNeil has reached out to Houston to "ensure that he understands the reasons why ... we're protecting the private information for this company." The government contends said last month that there is a "legitimate public interest in protecting the confidential commercial information of third-party businesses." Deputy Transportation Minister Paul Lafleche said at the time that the information the department does release on ridership targets, budget costs and actual final expenditures are better indicators of the ferry's performance. But Houston said the public has a right to know the management fee and potential bonuses paid to Bay Ferries. "When we ask the questions about how much the deal cost and how much the management fee is -- when they won't tell us, we can't properly assess if it's a good deal," he said. "We can assume, based on the fact they won't tell us." He said the issue is much larger than just the ferry's hidden contract. Privacy commissioner Catherine Tully said last month that she wasn't surprised that the provincial government rejected her call to reveal this information. "We've seen a pattern ... over the past year or two, where the government has been quite frequently rejecting recommendations for further disclosure that I make," she said at the time. While Tully can only make recommendations, she's increasingly pushed for changes to the province's privacy law to give her order-making powers. 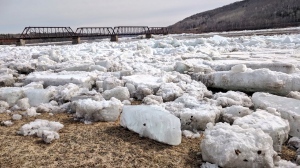 On Sunday, Houston said he hopes the planned lawsuit will send a broader message to the Liberal government that they will be held accountable for their actions. "The fact that the Liberal government's withholding this information is really a symptom of the way they've operated with the secrecy of information, the hiding of information," said Houston. 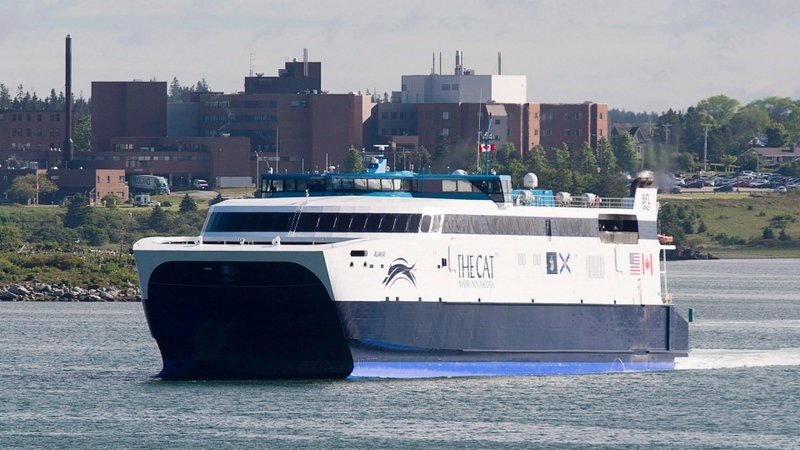 Nicole LaFosse Parker, a lawyer for the provincial Progressive Conservative caucus office, said the party originally filed a Freedom of Information request for the Bay Ferries matter two years ago. "The government has an obligation to provide taxpayers with information," she said, noting that secrecy is allowed only in limited circumstances. "The privacy commissioner has been very clear in her decision that the government does have to provide this information, and they do not meet those exemptions," she said. LaFosse Parker said the caucus might start filing more of these lawsuits if further issues come up. "We're hoping that by doing it this time, we're sending a message to the government that they can't do this. They have to be more transparent going forward," she said. "It's not our intention to do it every time, but we'll certainly explore each situation as they arise." She said a date for a hearing will be set on March 12.